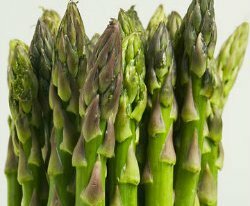 The fleshy green spears of asparagus are both succulent and tender. This highly prized vegetable arrives with the coming of spring, when shoots break through the soil and quickly reach their 6-8 inch harvest length. Asparagus has been considered a delicacy since ancient times and remains a luxury in many parts of the world. Our goal is to provide all of our customers with a delicious taste experience - one they will want to repeat! We continually improve our growing and packing methods so that our asparagus is as fresh and natural as possible. We are committed to providing safe food, through the principles of sustainable production and environmental awareness. 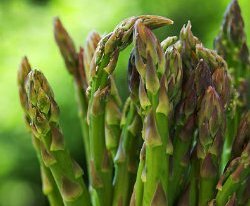 We specialise in supplying supermarket programmes, packing our Asparagus to meet specific customer requirements. We mostly bundle the product in 100gm (or 120gm) bundles, which are either packed in 6.5kg natural wooden boxes (65 x100gm bundles) or 3kg fluted plastic cartons, (30 x 100gm bundles). 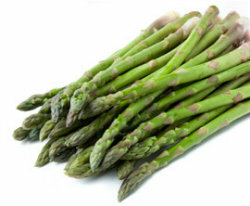 We also offer loose Asparagus in 6.5kg cartons. A delicious taste experience, producing sweet tender tips. © Copyright 2014 FreshCo Limited. All rights reserved.